I’m such a foodie. My close friends, family and even regular readers of my blog now that food is such a priority in my life. But, I’ve also learned (not recently, but it’s taken me this long to finally do something about it) that the production of meat and poultry can be (or already is) detrimental to the environment. I don’t think I will have a big problem giving up poultry, it’s more my penchant for steaks, burgers and a local dish called “sisig” which are my downfalls. I should stop complaining though, I’ve had a good run with food, all kinds of food from different countries. An acquaintance of mine, who is a fabulous chef and has whittled himself down to a very slim figure remarked “I have been lucky enough to have tasted some of the best foods in the world, so now, I thought I’d work on being the best me I could be.” So true. We have had our time to indulge and there is no time like the present to think of the bigger picture and that is what is all around us-our world. 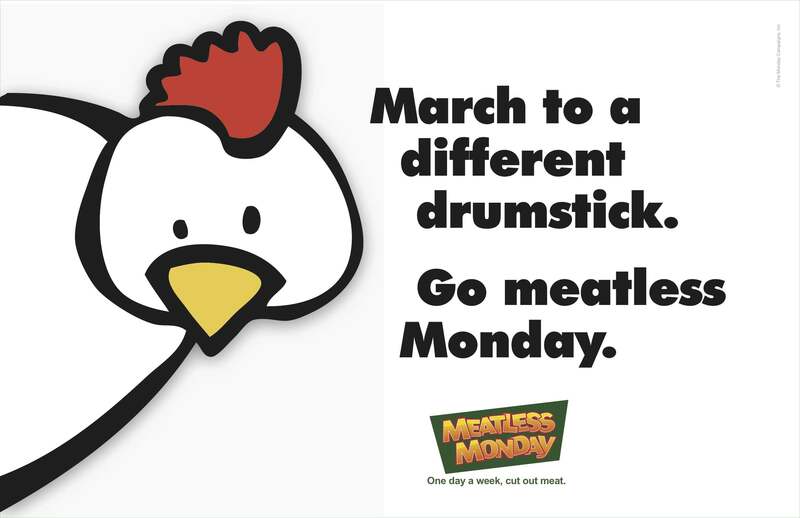 So, looking at my own health and the health of the planet, I am joining the Meatless Mondays Movement. Wish me luck everyone! Take a look at their website and see if this is something you’d like to do. If you skip meat and poultry once a week you will certainly not starve. You can actually get “starter kits” and downloadable posters and graphics so you may help them spread the word. There is a big impact when you and your household refrain from meat once every seven days, find out more and help raise awareness. So, can you be meat free once a week? I’m sure you can! Yes to a different drumstick! It’s also known that if you want to have a more connected spiritual relationship with Source Energy, the less animal products you consume, the easier the connection can be make. We are always advised to practice loving kindness towards EVERY living being. 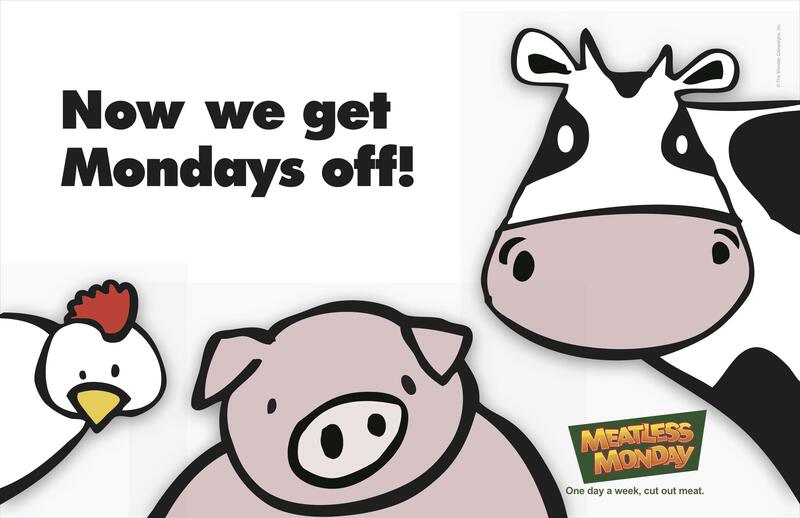 I hope that I can eventually extend Meatless Mondays to Meatless MWFs. i’ve been nearly meatless for two weeks (i couldn’t resist a bite or two of salmon, yesterday)! not starving, but sometimes i miss fried chicken!